See, earlier Gottfried on Goldberg: “Suicide Of The West”—Or Of "Conservatism"? 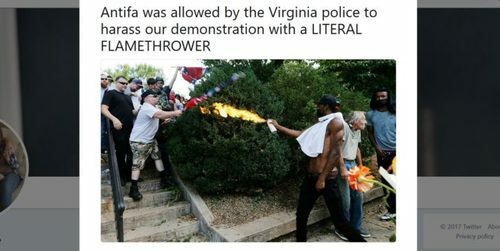 We’re approaching the one-year anniversary of the fateful Unite The Right Rally, at which the violence that took place was all blamed on the “Alt-Right”, leading to much persecution (deplatforming, firings, conferences cancelled) of people identified with that movement. It’s been said repeatedly that the Alt Right is dead or dying—but it can’t be, if Conservatism, Inc is still trying to kill it. “Intellectually do everything you can to defeat the alt-right,” Ryan said Thursday in an interview with Jonah Goldberg, a senior editor at National Review and a fellow at the American Enterprise Institute, where the interview was held. “It is identity politics, it is antithetical to what we believe, and it’s a hijacking of our terms, just like the progressives hijacked the word, ‘liberalism,’ the blood-and-soil nationalists of the alt-right have hijacked things like ‘Western civilization,’” Ryan, R-Wis., added. “So we have to go back and fight for our ground and re-win these ideas and marginalize these guys as best we can to the corners. But there was absolutely nothing in this interview that leads me to believe that the Alt-Right, or what it’s imagined to be in this interview, “hijacked” anything from the Right—if that Right is represented by Goldberg and Ryan. In fact, I can’t imagine how Ryan, who is a very centrist politician, or Goldberg, who seems to be a badly-educated Leftist in all but name, have any better claim to the “conservative” label than those on the Dissident Right whom they’re laboring to marginalize. Having these characters define the legitimate Right is like asking zealous vegetarians to judge the quality of meat dishes in a cooking contest—or having Hillary Clinton give out prizes for feminine charm. George also correctly notes that I “reject white nationalism,” for all the good it’s done me in winning favor from the obsessively virtue-signaling members of Conservatism Inc. But while I have criticized the Alt-Right, it is utterly dishonest for Conservatism, Inc. to excoriate the Alt-Right as racist. Fox News is awash in black race hustlers, with whom its All-Stars engage in respectful dialogue. Why are white nationalists or white race realists off-limits? And why does Conservatism, Inc. not treat its Right-wing dissenters as indulgently as those who deviate from it from the Left, e.g. 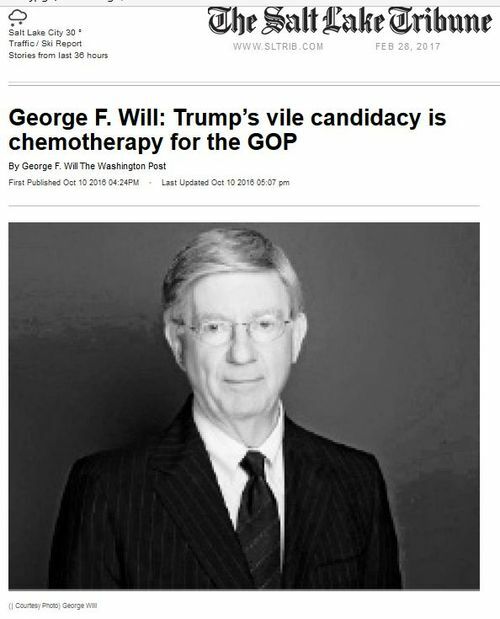 George Will, Goldberg himself and other Never-Trumpers? And let’s not be hard on the Alt-Right and its contending internet stars. Given the glaring imbalance of power between the current Left and any serious Right, even a cleaned-up version of the Alt-Right would not likely have access to the MSM—especially after Trump was elected and the Alt-Right was no longer useful to smear him. In fact, I can’t imagine any movement to the right of Conservatism, Inc. that would do better than the Alt-Right leaders in achieving a national presence. Of course, Neocons, West Coast Straussians and the GOP Establishment have predictably seized Trump’s presidency because they were the “conservative” powerbrokers when Trump became president. It was always likely that the Old Right, Alt-Right or Dissenting Right would be shouldered aside. The question is whether this imbalance of power will survive. I suspect the current situation may not last. Growing racial tensions, reckless immigration and a further weakening of already-weakened social bonds could all help the Alt-Right expand its following. Part of the Alt Right’s eventual success may come from its anti-traditionalism. 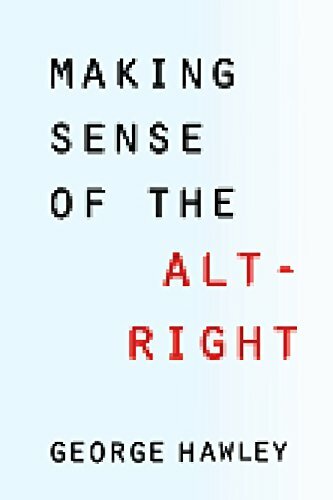 The Alt-Right is mostly (but not entirely) anti-Christian and advances a Nietzschean or neo-pagan perspective. It is thereby in sync with the growing secularism of millennials. The Alt-Right belongs to a post-conservative Right. But the “conservatism” it rejects is not even recognizable as such. What the Alt-Right rejects is a bogus Right that misleadingly calls itself “conservative” but which in most ways is indistinguishable from the historic Left. Unlike Conservatism, Inc., the Alt-Right avoids mealy-mouthed celebrations of “legal immigration” and “diversity” when it opposes illegal immigration. Instead it demands an end to all immigration that is not compatible with what America was as a nation up until a few decades ago. It is hard to miss the family resemblance between the Alt-Right and various European identitarian movements. Several years ago, when I attended a conference in Stockholm sponsored by Arktos Press, I noticed Swedish and French identitarian spokesmen cheek by jowl with their Alt-Right American counterparts. A difference between the two groups, however, concerns their concept of the uncongenial “Other.” European identitarians are principally concerned with keeping out Muslims and limiting the influence of Cultural Marxists in their societies. The Alt-Right has a much stronger racial edge, which may reflect the peculiarities of the American past. Still, on the racial front, one finds more variation in the Alt Right than the “fake media” might lead us to believe. Jared Taylor and John Derbyshire, among others who have influenced the Alt-Right, characterize themselves as “race realists” but reject the “white nationalist” label. Some younger Alt-Right bloggers like Mike Cernovich don’t seem particularly interested in race, except to whatever extent political and culture elites weaponize it against whites. Cernovich has famously trained his fire on the “deep state” and the evils of feminism. Another Alt-Right spokesman, Theodor Beale a.k.a. Vox Dayhas tried to integrate “race realism” into a reactionary posture, including anti-feminism and the defense of Evangelical Christianity. The Canadian libertarian Stefan Molyneux has tried to blend Alt-Right critiques of cultural Marxism with anarcho-capitalism. Ultimately, the Alt-Right represents a long-delayed reaction to the landmark Great Society legislation passed by the US Congress in the mid-1960s. Alt-Right defenders are opposed to the long-range consequences of the Civil Rights Act, the disastrous 1965 Immigration Act and Voting Rights Acts.They condemn these actions as beginning a process of cultural, demographic and political radicalization. Presumably only a regime change, one that Trump has not yet brought about, can alter this trend. The Conservative Establishment would never make peace with any serious Right, at least not one that offended the global corporate capitalists, Zionist casino-owners, and arms merchants who payroll our GOP think tanks. But what this assumes is a continuation of the present moment. A sea change may still take place sooner or later, one in which our current political elites are swept away. Editor's note: This article was originally published at VDARE and has been republished with permission. See the source text here. 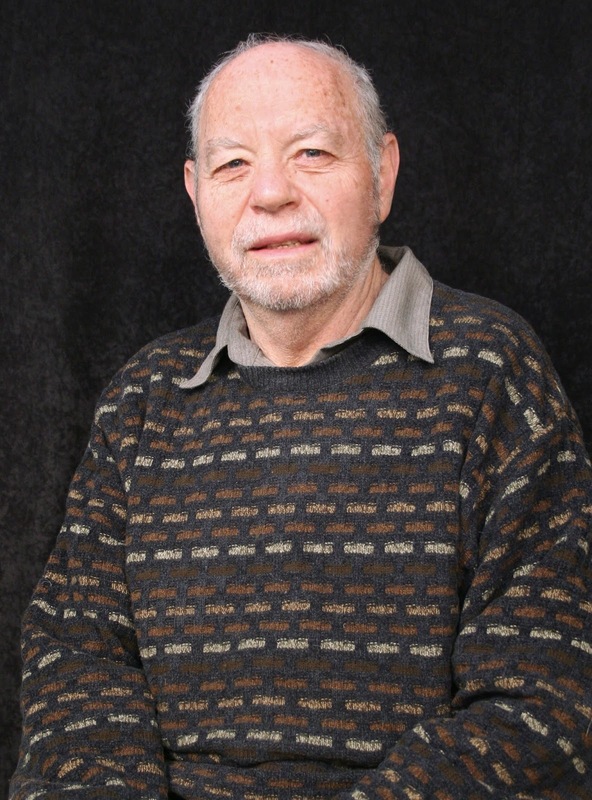 Paul E. Gottfried is Raffensperger Professor of Humanities Emeritus at Elizabethtown College, where he taught for twenty-five years. He is a Guggenheim recipient and a Yale PhD. He writes for many websites and scholarly journals and is the author of thirteen books, most recently Fascism: Career of a Concept and Revisions and Dissents. His books have been translated into multiple languages and seem to enjoy special success in Eastern Europe. He serves as head of the editorial board of The San Francisco Review of Books.